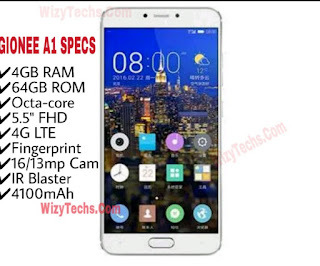 The Specifications of Gionee A1 indicates high-end and premium while the price is decently okay going by the features of this device. 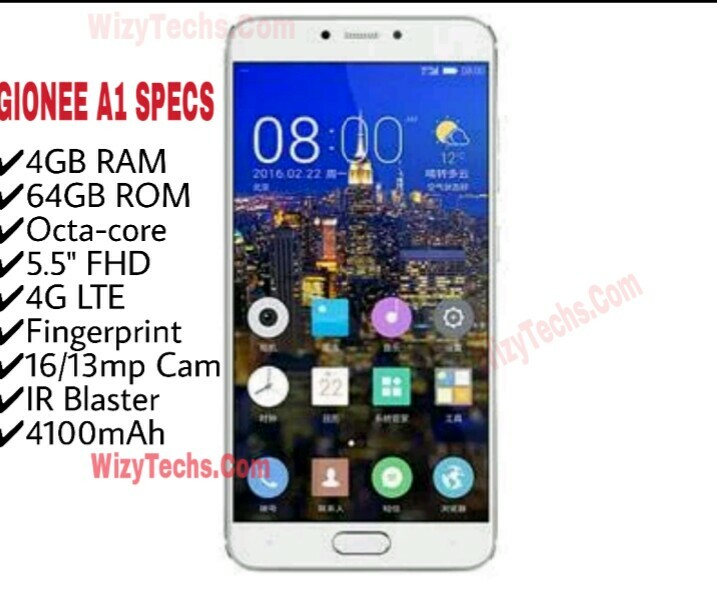 The Gionee A1 is set to be the first in the A-series list of mobile phones to be released by the Chinese OEM. Gionee A1 is powered by Octa-core processor alongside 4GB RAM, 16GB internal storage, it supports fingerprint, IR blaster and has stunning cameras. Below is the full specs of the phone including the expected launch price, price in India, and Nigeria. Not yet officially available. Coming soon... We will keep you updated once it's available. In conclusion, if the price of this phone is actually going to stand at this, then the Gionee A1 is the best alternative to the M6 as long as you will accept the hybrid SIM feature in A1 (forfeiting SIM 2 for Sd Card) and the lower battery capacity of 4100mAh (not bad shaa). The price is worth it oooo, with the specs. OK, how much do you want them to sell it? 40k?